State Line Drive Band is made of twin brothers Mason and Micah Marrs from Missouri. Jordan and Joel Mills from Kansas and Isaiah Carter from Missouri. State Line Drive is made up of twin brothers Mason and Micah Marrs and Jordan and Joel Mills from Kansas City. Award: Lee’s Summit’s Got Talent grand prize, Texaco Country Showdown runner up. Micah Marrs has been singing with his twin brother Mason from the time they could talk. When he was 11 years old, his parents gave him his first guitar for Christmas. A few months later the Marrs brothers started playing for tips as street performers around Kansas City. Their street corner performances soon led to invitations to play at church services, charity events and parties. Before making the switch to country music, the Marrs brothers traveled across the country leading worship for youth ministry events. When not on the road with State Line Drive, they still enjoy leading worship for their church. Most of the time Micah has a guitar in hands, but he does sit down at the piano from time to time, especially when writing new music. Mason Marrs and his brother argued about who would be the drummer when they first talked about starting a band. Mason won out, and started playing the drums when he was 11. While Mason spends the majority of his time behind the kit, or on the cajon, he also dabbles a bit with guitar, mandolin and keys. When they aren’t performing with State Line Drive, you will find the Marrs brothers running at a local park or working out in the gym.They also enjoy hanging out with friends at local restaurants or playing disk golf. When they aren’t playing country music, they are listening to it. They are true country music fans, drawing a lot of inspiration from artists like Rascal Flatts, Dan and Shay, Jason Aldean and Hunter Hayes. Joel Mills and his younger brother Jordan have been around music all of their lives. They both started playing music when they were four years old. Their father ran a music studio, so they were always around great musicians who inspired them. The Mills and Marrs brothers first connected when Mason and Micah recorded their first project at that studio. Like the Marrs brothers, the Mills boys had also been playing in church and other venues up to that point. 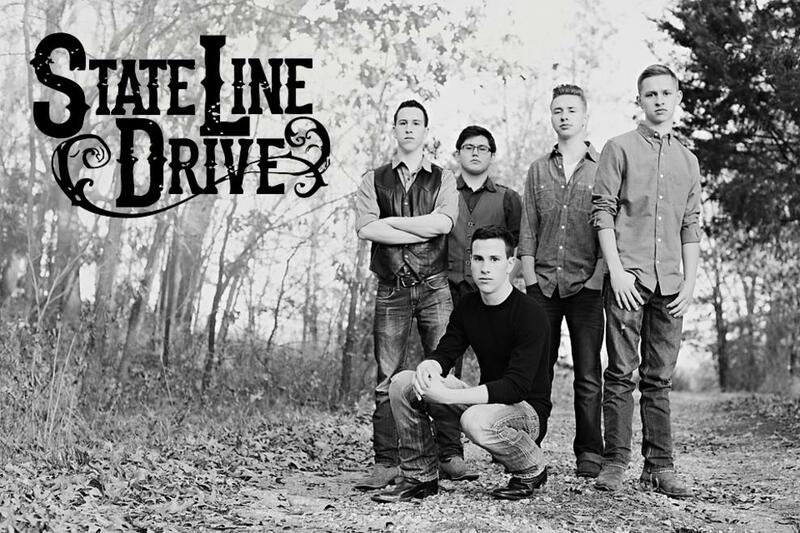 Once the four guys discovered the potential in the mix of their talents and the blend of their harmonies, State Line Drive was born. When Joel is on stage with State Line Drive, you’ll find him behind the keyboard or playing guitar. Joel continues to lead worship in church when he isn’t on the road with State Line Drive. Joel is the oldest member of the band. Joel appreciates a wide variety of musical styles ranging from folk, country, jazz, R & B and rock. He enjoys gospel music the most. Jordan Mills started out playing piano, but soon switched to guitar. He plays lead guitar for State Line Drive, as well as banjo from time to time. When he isn’t on stage with State Line Drive, he usually still has a guitar in his hands. He is practicing, doing session work in his dad’s studio or playing in the worship band at his church. Jordan is the youngest member of State Line Drive, and just graduated high school. He draws inspiration from a variety of musicians, including his friends, Dan Weller and Tyler Chiarelli, who play for Florida Georgia Line, as well as great guitarists like Stevie Ray Vaughen, Jimi Hendrix and Eric Clapton. He is also a big fan of John Mayer and the Steve Miller Band. When Jordan isn’t on the road with State Line Drive he enjoys spending time with family and friends.